The internet is both a blessing and a curse. It has made our lives easier, but at the same time data breaches have become quite common these days and are giving sleepless nights to online services and users. To help internet users check if their current passwords are leaked in a data breach, Google has released a new extension for its Chrome browser to easily check if your Outlook.com, Yahoo!, Facebook, Amazon, and any other account details are leaked in a breach known to Google. Note that you don’t need to use this extension to check your Gmail account password as Google always asks you to change your password when it finds that your account password is unsafe (even when you are not using this extension). It’s worth mentioning that the extension will alert you only if the credentials you entered is leaked in a data breach known to Google. If a data breach has not been reported or not known to Google, you might not get any alert. So, although the extension does its job very well, it’s always a good idea to change your account password once in a few months to be on the safer side. 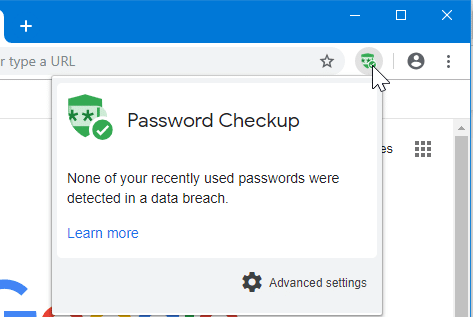 For those who are worried about the privacy, the Password Checkup extension does not send any identifying information about your password, account information, or device to Google or any other service. However, it does send some anonymous information. Using this Password Checkup extension is quite easy. After installing the extension, simply visit an online service whose credentials you want to check against data breach and then type in your username and password. If the Password Checkup extension tool finds out that your password is leaked in a data breach, you will get an alert immediately, and you should change your password without any delay. You can also click on the small Password Check icon (next to the user icon) to know if any of the recently used passwords were detected in a data breach. 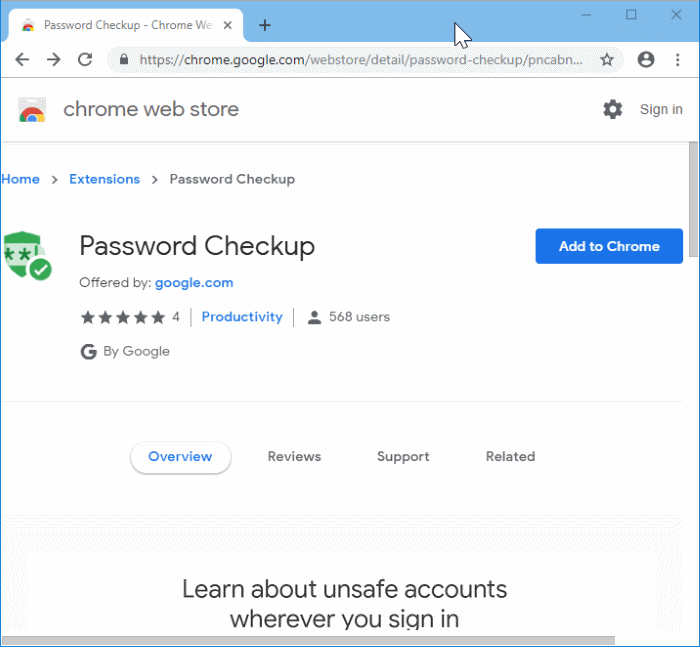 Obviously, the Password Checkup extension is for Google Chrome browser only. Visit the following link in a Chrome browser to get the Password Checkup extension.